A JSU graduating doctoral student recently provided cybersecurity support at a supercomputing conference in Dallas where attendees showcased powerful security applications that are capable of withstanding potential data breaches. Ebrahim A. Al-Areqi, 30, is a student in Computational and Data-Enabled Science and Engineering. He attended the SC (Supercomputing) conference, which is one of the biggest events of its kind around the globe. About 15,000 people traveled from all over the world for the Texas forum. 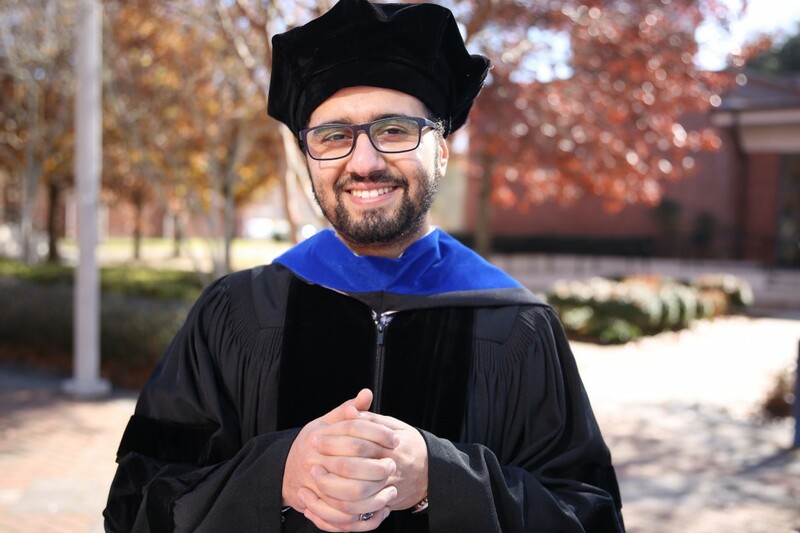 Al-Areqi, a native of Yemen, will receive his degree during a 10 a.m. Friday, Dec. 7, commencement ceremony inside the Lee E. Williams Athletics and Assembly Center from the College of Science, Engineering and Technology. He came to JSU as a junior exchange student from Universiti of Utara Malaysia. He liked JSU so much that once he completed his bachelor’s degree in Malaysia, he enrolled at JSU for his master’s degree. Now, he will earn his doctorate here, too. Al-Areqi was one of 225 volunteers on the planning committee for SCinet, which managed the infrastructure for the conference. He worked with the cybersecurity team to make sure that 15,000 attendees using the world’s fastest network were safe from clever hackers, who were encouraged to try to disrupt the system. “My specific role on the team was data analytics. I was responsible for visualizing the data and making sure there were no user-behavior anomalies within the data that were collected,” he said. Al-Areqi appears with Ralph A. McEldowney, left, the chair of the SC18 (Supercomputing) conference. McEldowney also serves as the associate director for Networking for the Department of Defense High-Performance Computing Modernization Program. So, how well did he do? 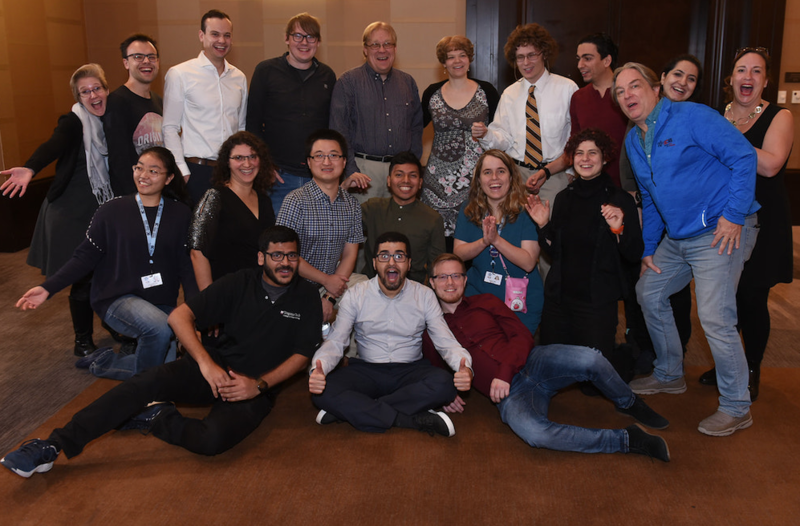 With attendees using wireless infrastructure and the network, Al-Areqi and his team succeeded in preventing a breach at the symposium of the International Conference for High Performance Computing, Networking, Storage and Analysis. It was a celebratory moment for Al-Areqi, who explained how he connected with SC. “This conference runs every year. In 2017, I was part of a cybersecurity training session that was running in parallel with the SC conference. Those with the SC conference told me that because of my cybersecurity and data analytics skills that I should apply to be a volunteer at the SCinet program next year. At the beginning of this year, I applied and was invited,” Al-Areqi said proudly. Here’s what’s unique about the high-performing computer that Al-Areqi worked with in Dallas. The SCinet NOC (Network Operation Center) connected 65 miles of fiber. The material ran through the ceiling, into smaller Distributed NOCs and under carpet that provided more than 4.02 terabits of bandwidth. Amazingly, this capacity linked attendees, exhibits, experiments and demos in Texas and four continents: North America, South America, Europe and Asia. In other words, 4.02 terabits can download all 27 million songs in the iTunes catalog in less than four minutes. Those results excite Al-Areqi. Even as he prepares for his career, he said he realizes that fear exists among many people using the internet, especially with many companies experiencing data breaches. “We generate data every day. Everything is becoming more connected to the internet and has an IP address,” he said. “Because of this, cybersecurity becomes a critical issue. Some people don’t understand what it means to be connected to internet. Their devices are susceptible to hacking. The more data we generate about people, the more we need to analyze it to better secure them. That’s where the data-driven security comes in,” he said. JSU’s Al-Areqi, front row center, represented JSU as he worked alongside volunteers from various parts of the country. Nevertheless, Al-Areqi doesn’t want people to live in fear. “Technology will always be there; it will always evolve and improve. Our job is not to stay away from it but to use it in the right way. Security will always be an issue, so we must follow best practices in using that particular technology. Embrace it,” he urged. Now, with graduation fast approaching, the married father with four children has already interviewed for several industry jobs as well as academia. So far, he’s spoken with C Spire, Google, Volvo, California State University and Rice University. “I would love to do anything that will have a great impact either in research or the classroom by raising awareness of cybersecurity. 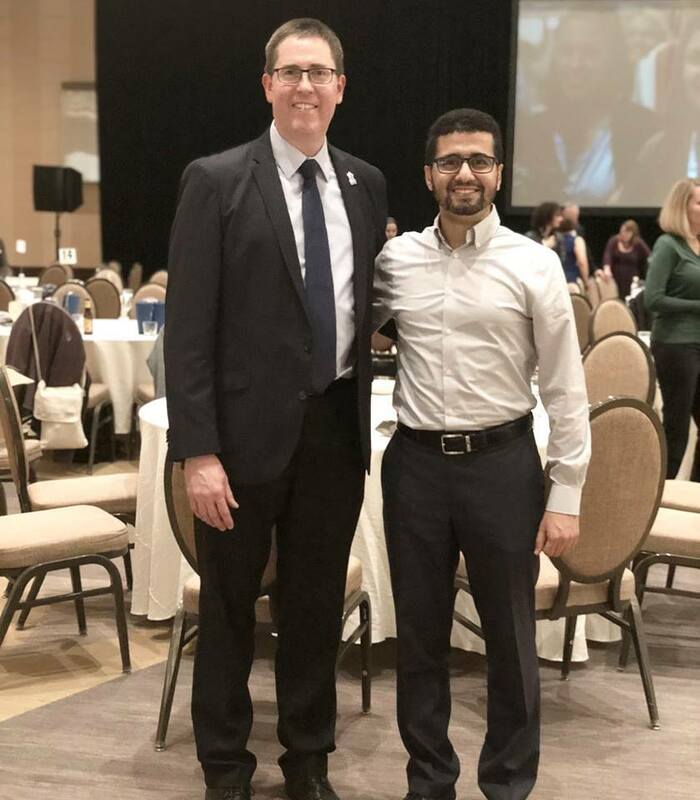 If working in the industry, I want to be part of a project or company that has a great impact in minimizing the issue of cybersecurity to the lowest level,” Al-Areqi said. 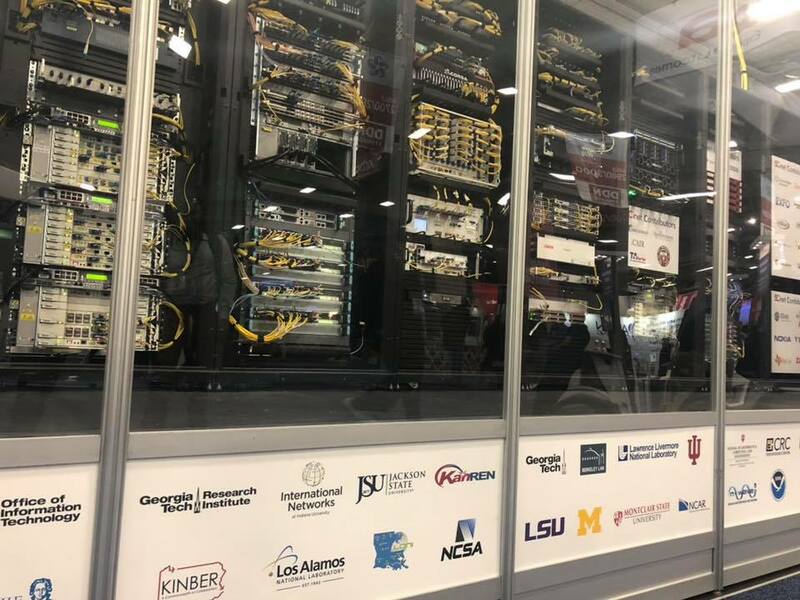 JSU is prominently displayed as one of the many institutions involved in the supercomputing conference.